Pioneers in the industry, we offer ferrous & non-ferrous metals testing service, optical emission spectrometer, positive material identification services, carbon sulphur apparatus and alloy testing services from India. Catering to the needs of automobile and engineering industries, our metals & alloys testing services are known for their accurate & precise results. 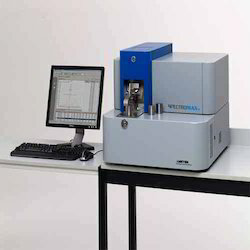 These services are rendered by us using optical emission spectrometer, wet chemistry and various other latest machines as per the national and international test standards. 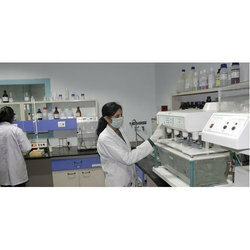 We are one of the most trusted companies conducting these tests as we have received NABL certification and govt. approval for these tests. Narang Metallurgical & Spectro Services conducts identification of metallic materials, also referred to as Alloy Verification (positive material identification - PMI). The aim of the identification of material is to ensure that the nominal material composition that is as supplied and complies with purchase order and / or design requirements. NARANG Metallurgical’s Positive Material Identification service includes experienced on-site inspection and testing team with multiple highly sophisticated handheld / portable X-Ray Florescence (XRF) and portable Optical Emission Spectrometer (OES) spectrometer which can measure the complete chemical composition of the materials, non-destructively and accurately. NARANG Metallurgical’s PMI division has expert engineering and inspection personnel to undertake incoming material inspection and provide on-site alloy verification for Quality control and Stock control purposes. 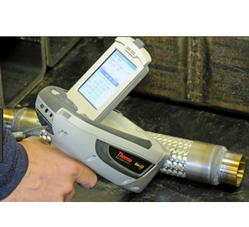 NARANG Metallurgical’s can analyze Melt and Weld and provide a comprehensive Maintenance assessment. 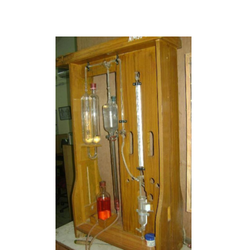 Carbon Sulphur Apparatus is used to detect the percentage of Carbon and sulfur in iron and steel.The scale of apparatus burette is directly calibrated in terms of carbon percentage. The apparatus furnace attains required temperature rapidly and a high accuracy digital pyrometer indicates the furnace temperature. The equipment can detect carbon or sulfur or both. The apparatus can detect carbon percentage up to 4.5%. By using interchangeable burettes, the measurement can be taken to 0.25%, 0.5%, 1.5% and 4.5%. 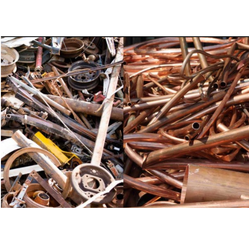 Looking for Testing Of Ferrous & Non-Ferrous Metals ?